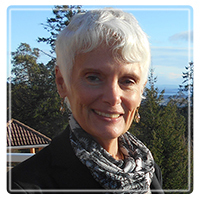 Nanaimo Therapist: Deborah Nelson - Therapist V9S 5L5. Deborah is a Registered Professional Counsellor with Master Practitioner of Clinical Counselling designation with the Canadian Professional Counsellors Association as well as a member of the Satir Institute of the Pacific and the International Family Therapy Association. Deborah works with you, the client, to discover underlying or root issues, that maybe impacting your life. She assists you in these issues, guides you as you work through them, and then helps you let them go in order to release you from the stress and emotional drain. This opens the door for you to move from coping in your life, to actively living. Using tools learned during sessions, clients are able to move effectively through issues without the need for long term therapy. With an experiential approach clients are able to view "the problem" differently and embrace new levels of understanding of themselves, others and their problems. Counselling offers a journey through life's experiences to see how they affect us today. With commitment, counselling enhances the quality of life by moving you towards a more satisfying, enjoyable life with better relationships. Families relate as a whole. Change in one individual results in change within the whole system. As a counsellor my goals are to empower, inspire, teach, and support. In my role I respect the fundamentals of honesty and commitment as well as safety, and provide an environment in which you will be safe enough to walk down the road less traveled. I strive to bring my clients in touch with their inner wisdom and to reconnect them with their beliefs and values on the journey to becoming emotionally and physically healthy. When you are healthy, you are better able to handle life's anxieties, depressions, transitions and losses.